Matteo Nunziati opened his interior design office in Milan in 2000. The product design department of the studio collaborates with some of the most important furniture, lighting and covering firms. (Poliform, Molteni&C., Flou, Lema, Matteograssi, Poltrona Frau, I 4 Mariani, Fiam, Schiavon, Gruppo Martini Illuminazione, Fontanaarte, La Murrina, Teuco, Rapsel, Tonon, Lualdi Porte, Listone Giordano). Matteo Nunziati gained several prestigious Design Awards: Good Design 2011 Award Chicago – USA for the best annual design for the washbasin “Elle” produced by Rapsel; Wallpaper Design Award 2011 – UK best annual design for the low table “Dali’” produced by Matteograssi; Cityscape Award 2013 – Saudi Arabia best Residential Architecture Design. The department of Interior Design is specialized in designing Luxury hotels, Residences and Private Villas, Wellness Centers and Spas, which have been constructed all over the world. (Europe, Russia, Arabia, China) Since 2004 he cooperates as a “Project Leader” at international awarded design and architecture schools, such as the Domus Academy in Milan, Design/Graduate Institute of Innovation and Design - National Taipei University of Technology of Taipei in Taiwan, the “Ateneo Creativo – IDI Interior Design Institute” of Milan, “University of the Arts London Central Saint Martins” in UK, the "Tshinghua Shenzhen University" in Shenzhen of China. In 2006 he participated at the exhibition “50+2y Italian design” at the National Art Museum of China in Beijing where the most important designers of international Design from 1954 till 2006 were selected . Since 2007 he organizes events within the fair “Abitare il Tempo” in Verona (Italy), Mipim Cannes (France), Cityscape (Dubai), Salone Internazionale del Mobile Milan (Italy). Since 2008 Matteo Nunziati participates at several prestigious conferences, such as “Eire” Milan-Italy, “European SPA Summit” Paris-France, “Wellness World Exhibition” Milan-Italy, “Sia Guest” Rimini-Italy. In addition he represents the Made in Italy at international conferences organized by “Federlegno Arredo” in collaboration with the ICE (Chamber of Commerce) and the Italian Government in the world (Qatar, Lebanon, Egypt, Kuwait, Saudi Arabia, Estonia, Latvia, Switzerland, etc). 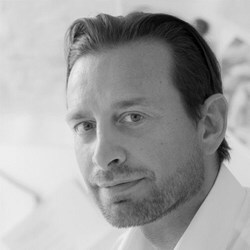 His projects have been published in the most important Italian and international design magazines. Furthermore SKY TV dedicated 4 episodes where Matteo Nunziati expressed his Design experiences.